The 80136 GearWrench 14mm 6 Point Standard Length Socket, 1/4''Square Drive is one of thousands of quality tooling products available from MRO Tools. 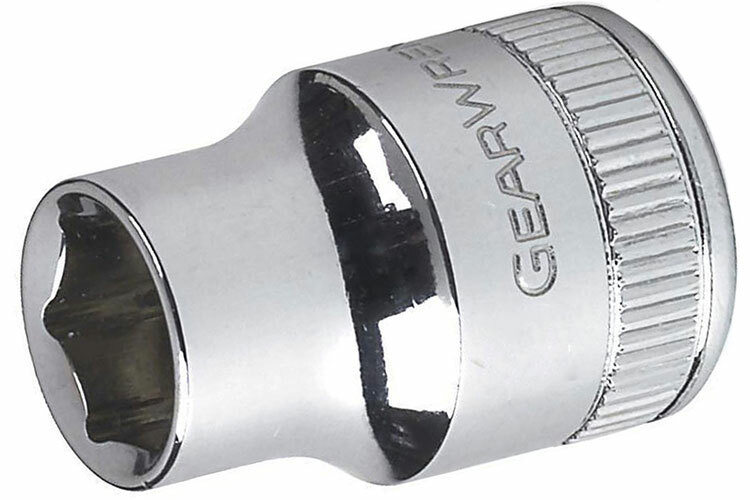 Please browse GearWrench 1/4'' Drive 6 and 12 Point Standard Length Sockets, Metric for tools similar to the 80136 GearWrench 14mm 6 Point Standard Length Socket, 1/4''Square Drive. 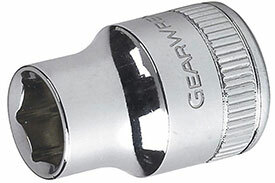 80136 GearWrench 14mm 6 Point Standard Length Socket, 1/4''Square Drive description summary: GearWrench 1/4'' drive 14mm 6 point standard length socket. Fastener Size: 14mm Drive Type: 6 Point Drive End: 0.768'' Wrench End: 0.768'' Overall Length: 0.965'' Bolt Clearance: 0.220'' Wrench Depth: 0.571'' Length To Shoulder: 0.453'' Quantity discounts may be available for the 80136 GearWrench 14mm 6 Point Standard Length Socket, 1/4''Square Drive. Please contact MRO Tools for details.